SKU: SW-01. Category: Adhesive Heat Pad. Tag: 5 Pads in a box. 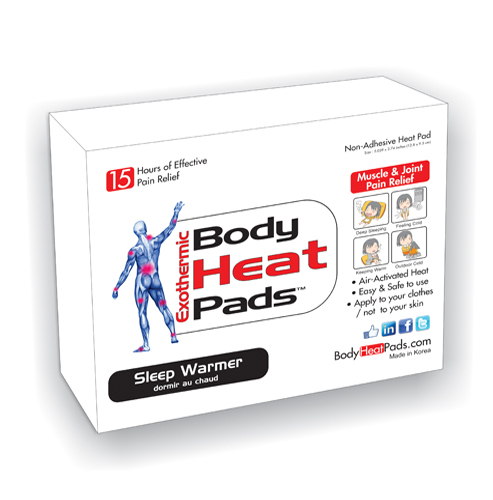 Body Heat Pads Sleep Warmer removes the household need of costly electric heaters, use of dangerous scolding hot water bottles or over exposure to freezing temperatures inside or outside. After opening the plastic bag of the product, remove the sticker on the back of the heat pack and attach the pack to any blanket, sweater or jacket. 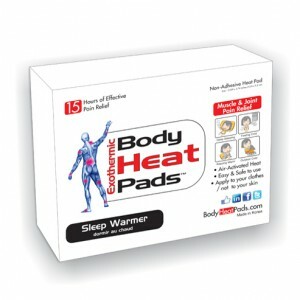 In particular, if the heat pack is attached to the lower part of the belly, waist or shoulder, the entire body will be covered with the warmth coming from the heat pad by the circulation of the blood.